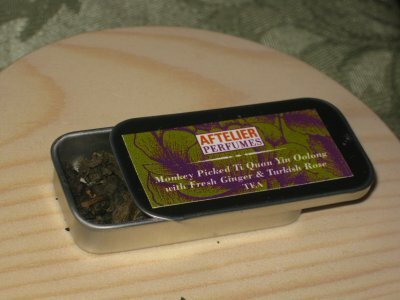 Aftelier Monkey Picked Ti Quan Yin Oolong with Fresh Ginger & Turkish Rose – A Rose By Any Other Name..
Mike: Everyone knows monkeys pick the best things. Are bananas not awesome? Was the princess Donkey/King Kong kidnapped not hot?